Open the pet clinic and start treating the sick animals. 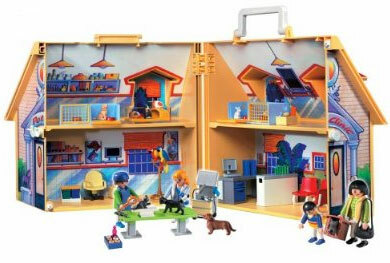 Includes four figures, kittens, puppies, guinea pigs, animal pens, and many other accessories. The take along pet clinic has a handle so you can take it along with you. There are individual areas for each toy animal to be kepnt and taken care of. The kit includes an examination table where the play vetrinarian sees the toy pets and takes care of their issues.